food52 (which, if you haven’t checked out yet, you really must) recently held a contest titled Your Best Use of Aioli. 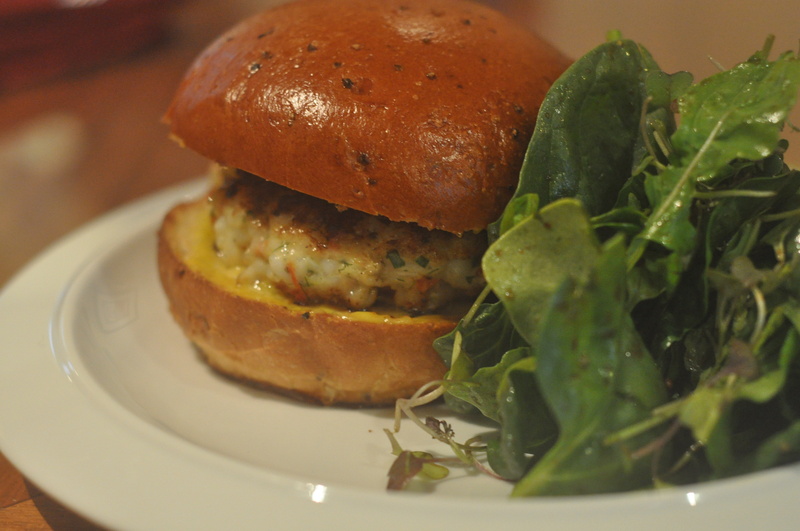 The winning entry was this recipe for Shrimp Burgers with Roasted Garlic-Orange Aioli, in which the aioli is used to bind the shrimp burgers and as a spread on the bun. I love shrimp, as does The Professor, so I had to try it. While The Professor peeled and cleaned the shrimp, I made the aioli, beating the egg yolks continuously and oh-so-slowly pouring in the oil. 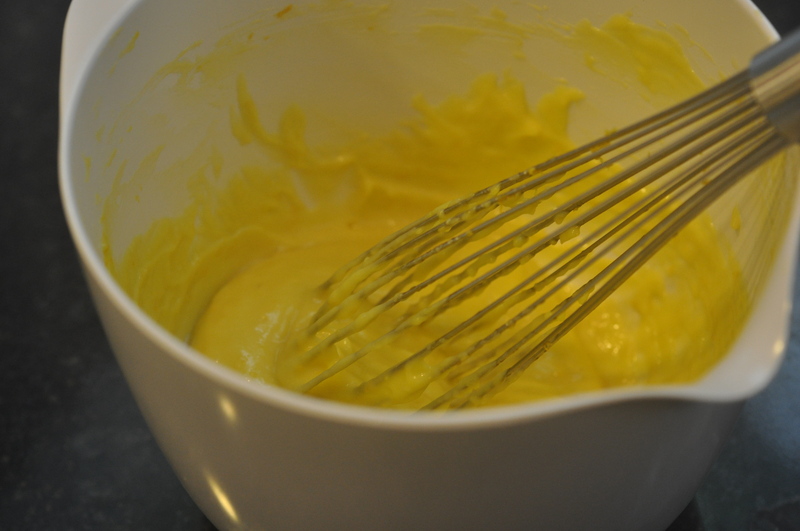 Making aioli from scratch is certainly an arm work-out, though it’s not as tricky as I thought it would be. Then I started slicing and dicing. First the red pepper, then the shallots, the fennel, the fennel fronds, and the chives. The Professor had long since finished his cleaning job and headed up to his office to finish some reading when, finally, I I chopped the shrimp. “Well a recipe always takes longer the first time you try it,” I countered. But he was right. 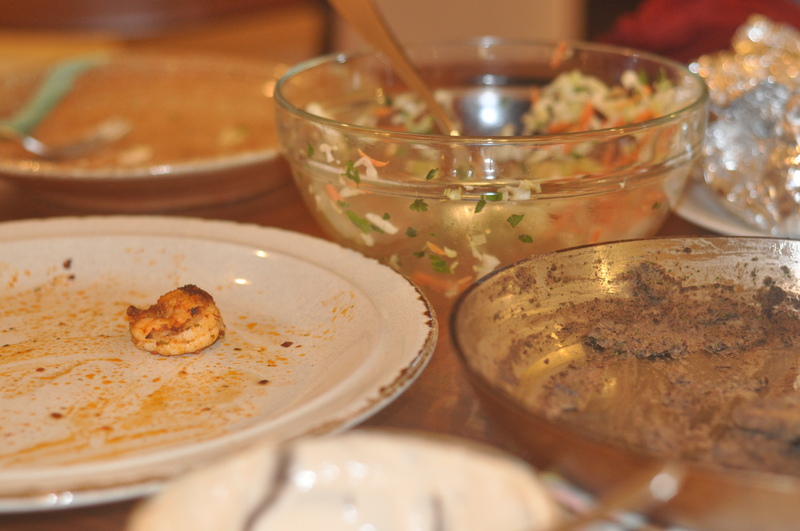 The end result was perfectly tasty — the flavor was subtle but recognizably shrimp-y, with hints of licorice and orange that upped the interesting-factor. But the burgers weren’t so mouthwateringly delicious that they justified the effort or the cost. (I’d used wild pink shrimp from Key West that sells for $15 a pound). The Professor also suggested that the brioche buns I’d served the burgers with might be getting in the way of the subtle flavors. 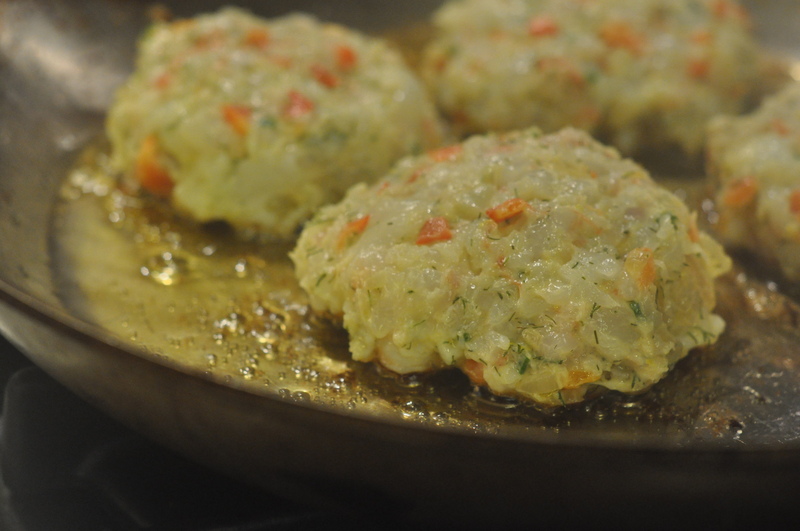 “These might be tastier served more like crab cakes,” he suggested. The Professor gave them a B, saying he’d be happy to have the shrimp burgers — or cakes — now and again. And I guess I’m glad he didn’t ask me to make them again next week! 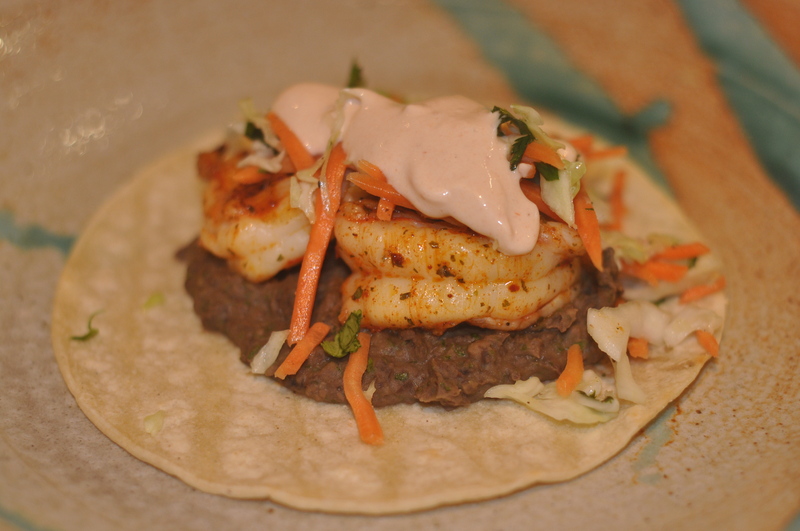 Shrimp Tacos — The Professor Gives an A!!! It took months, if not years, of trial and error to come up with this recipe for shrimp tacos — a recipe that earned an A from The Professor! (In the pescatarian category, of course.) And finally I am ready to share it. But first, let me recognize the recipe that started me down this culinary path: An article in Sunset magazine (which was then under the creative direction of my dear friend, Paul Donald, who is now doing this) titled “Tostadas in no time: Fish makes a quick and healthy Cal-Mex meal.” The original recipe called for halibut and a yogurt-lime sauce. I always served them as tacos rather than tostadas, using heated but still flexible corn or flour tortillas. I used halibut until I realized that it was just plain dumb to buy an expensive fish with a subtle flavor and then drown it, so to speak, in a spicy sauce. I tried buying a less expensive white fish, which helped my bank account but did nothing for the flavor. Then I tried shrimp, which I buy frozen at roughly the same cost-per-pound as fresh cod but which holds its own against the other strong flavors in the taco. Then I added black beans, replaced the lime-yogurt sauce with a more flavorful chipotle sauce and upgraded the cabbage slaw by adding carrots and cilantro and by warming the mixture just a bit. I will say, this is not a recipe for a weeknight. Especially if you don’t have The Professor to clean and grill the shrimp for you. But it is delicious, especially when you cook the shrimp on an outdoor grill, which seals in the juices better than a stove-top grill-pan. The beans add warmth and substance to the dish, while the cabbage slaw adds crisp fresh flavor and crunch. And finally, the chipotle sauce adds heat. With that said … here is the recipe! De-vein and clean the shrimp, and toss with olive oil and your spices of choice. Set aside. 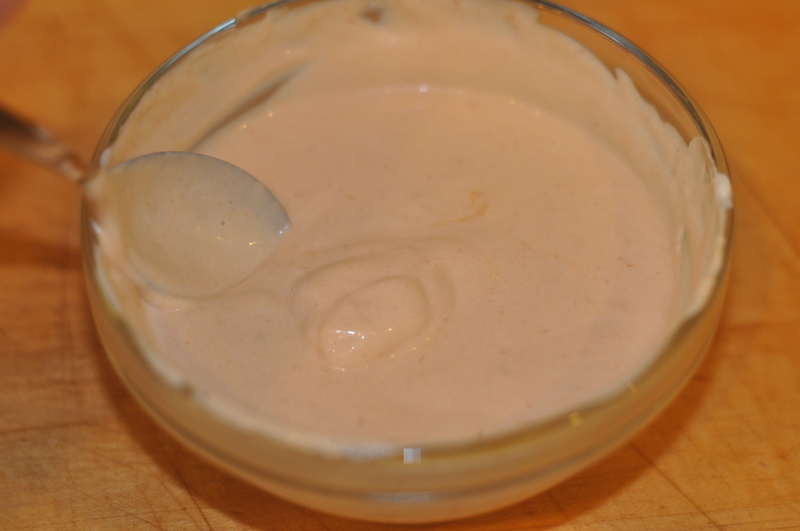 For the sauce, stir the yogurt, mayonnaise, adobo sauce, and salt together. Open and drain the can of beans. Chop the garlic and heat a saute pan on medium. When it is warm, add the oil. Add the garlic and stir for 30 seconds, making sure not to let the garlic burn. Add the beans, a half cup of water or stock and turn the flame to medium-low. Once the beans are warmed, crush them with the back of a wooden spoon or use an immersion blender. Add more liquid if needed and then adjust the seasoning, adding salt, pepper, and fresh cilantro. Turn the flame off or to low, and put the lid on. 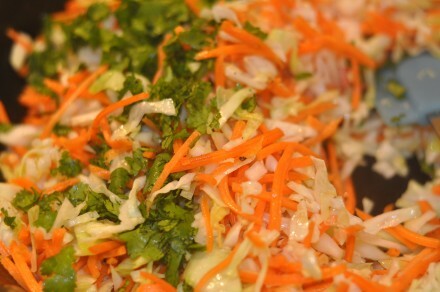 Mix the shredded cabbage and carrots together with salt. In a small pan with olive oil, saute the mixture until it’s warm but still crisp. Remove from heat and add lime juice and 1 T or more of the chopped cilantro to taste. Heat the tortillas on a griddle or in the oven and then wrap in aluminum foil. Grill the shrimp. The Professor heats the grill to 500 degrees and cooks the shrimp 2 minutes on the first side and 1 minute on the second. When it comes to grilling, there is no sure-fire perfect cooking time. It all depends on the number and size of the shrimp being cooked, and the size and heat of your grill. But The Professor never cooks the shrimp for more than 4 minutes.